Harley LED upgrades and conversions are an excellent way to improve your visibility, your night vision, and the look of your Harley Davidson. These upgrades have become increasingly popular especially because they are often very straightforward and quick to accomplish. There is Harley LED lighting available for headlight, passing lamps, taillight, turn signals, fender tip lamps, and more. 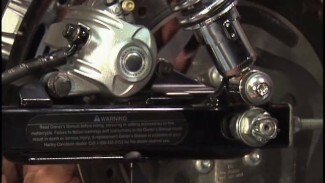 On 2014 and later CAN BUS models, a load equalizer is typically not needed for a Harley LED turn signal change over. Pre-2014 models, most, always need the addition of a load equalizer in order to keep the turn signals flashing correctly. Without a load equalizer, the signals will flash very rapidly or in some instances, not flash at all. Most load equalizers are simple plug and play. They are usually plugged in-line with the harness designated for the tail end of the motorcycle. Some equalizers need to be hard wired but that is more often the case with pre-96 Evolution models or in more custom applications. It is very important to verify correct light function before attempting to make any changes to the lighting on a motorcycle. If you have a turn signal or taillight that is not operating properly, never move forward with the installation of a Harley LED light assembly. It is important that a diagnosis and repair is made before moving forward. Not doing so will often make a diagnosis more difficult and time consuming. 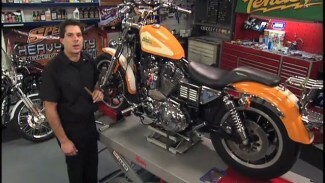 Mike gives us a demonstration using Harley LED signal lights from Custom Dynamics. There are many different options available depending on the make and model of your motorcycle.